SISTER CLUB: Deerness Valley sign-up for more! 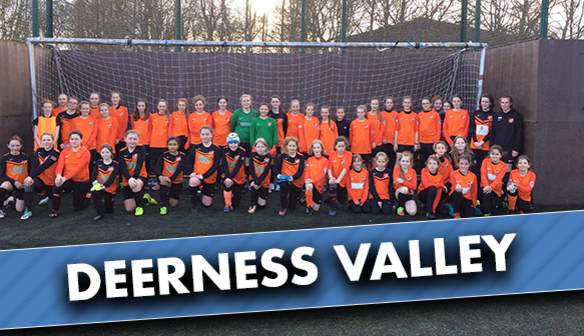 Durham Women FC are delighted to announce that Deerness Valley have re-joined our FA Sister Club programme. The Wildcats were recently awarded a licence to operate the innovative programme for the 2018/19 season and have been reaching out to local clubs to build partnerships. And Deerness Valley, who initially joined last season, have now become one of the first teams to renew for the new campaign. They will now benefit from free season tickets for all players, player visits to training sessions and exclusive, behind the scenes events. Deerness Valley Football Club was established in 2003 and is a medium sized voluntary organisation based in County Durham. It's main aim is to encourage participation in football for young people (boys and girls) as a social activity and means of encouraging a healthy lifestyle, providing opportunities for recreation and competition. It currently has a membership of approximately 400 young people playing in Teams from U7 to U16 age groups. Since introducing female teams in 2013, we proud to say that 50 girls have joined the Club. The young people are aged 7 to 17 and mainly come from villages in the mid-Durham area including Ushaw Moor and Langley Park, along with other parts of Durham including Framwellgate Moor and Newton Hall. The Club offers weekly training sessions throughout the year on grass and astro turf; and the chance to play in competitive leagues, progressing from 5-a-side football for the younger members to larger squads. Deerness Valley FC have achieved Charter Standard Development Club status many times and is proud of its culture of nurturing players from all backgrounds, ages and capabilities. There are few opportunities for out of school sporting activities in this area and the club offers a safe environment for young people to play. Anja Fechtner, Girls Secretary, said: "I joined the club as a volunteer a year ago and now heavily involved with growing the girls teams. In the future, there will hopefully be not just girls players.There will be just great football players." To get involved, contact Anja Fechtner (Girls Secretary) on 07737395641 or fechtnera@hotmail.com. You can also come along for a free training session to Sir Bobby Robson Centre at Tuesdays 6-7pm or the Wildcats Centre 5.30-6.30pm at Framwellgate Moor Secondary School. Your club could also join the Sister Club Programme and receive a range of fantastic benefits. 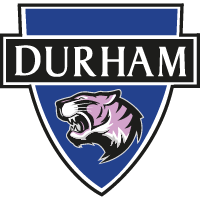 To find out more, contact our Programme Officer, Mark Donnelly, at mark.donnelly@durhamwfc.co.uk or 07495 663334.